Barbara Fraser is a freelance journalist based in Lima, Peru. With 20 years of experience in Latin America, she puts a human face on current events and public policy. She offers research, writing, editing and photography services, with particular expertise in Latin American, environmental, public health and social issues. Her work has appeared in EcoAmericas, The Daily Climate, The Lancet,Environmental Science & Technology, Environmental Health News, Science World, National Catholic Reporter, Catholic News Service and other publications. She also worked for seven years as director and English-language editor of Latinamerica Press, a bilingual bulletin of news and analysis from Latin America and the Caribbean. She won the Eileen Egan Award for reporting on humanitarian issues, national circulation category, in 2004, 2007 and 2010. 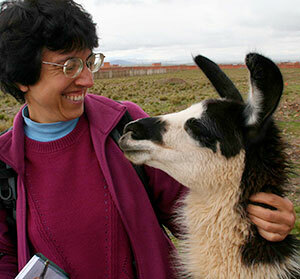 Barbara is a member of the Society of Environmental Journalists, the National Association of Science Writers and the Foreign Press Association of Peru. For more information, contact her.